Ronald David McGarity, Sr. 74, of Columbus, NC, passed away September 13, 2018 at his home. He was the son of the late Lynn David and Grace VeHaun McGarity and husband of the late Catherine Ruth Arnett McGarity. Ronald was in the US Air Force during the Vietnam Era. He was an Electrician with Milliken (Hatch Plant) in Columbus; he was a member of Grace Baptist Church, a Sunday School Teacher and a Deacon. 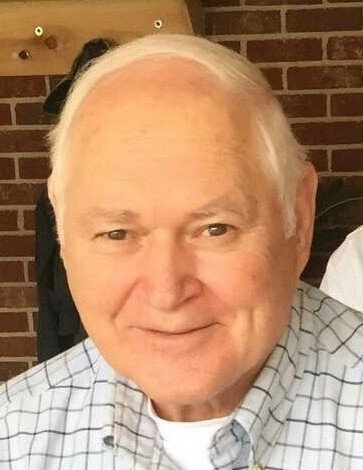 He is survived by two sons, David McGarity(Julie), Cameron McGarity(Heatherly); five sisters, Elaine Silvey, Glenda Melton, Lynn Turner, Myra Ellisor, Debbie Belue; four grandchildren, Claudia, Benjamin, Molly and Wyatt McGarity. In addition to his wife and parents he was predeceased by a sister, Terrie Rogers. The family will receive friends, 1:00-2:00pm Tuesday, September 18, 2018 at Grace Baptist Church. Funeral services will follow at 2:00pm conducted by Rev. Nick Vance and Rev. J. B. Godfrey. Burial will follow at Evergreen Memorial Gardens. In lieu of flowers memorials may be made to Grace Baptist Church, P.O. Box 220, Landrum, SC 29356.